Negotiated Time Off options provide Flight Attendants with schedule flexibility to assist us in accomplishing a healthy balance between our work and personal lives. These options include the Personal Drops (PD)provision and the Personal Time Off (PTO)options. Both options provide us with the ability to take unpaid time away from work however, the mechanism behind each is unique in how the day/days are awarded. Personal Drop – Section 7.M. 1. Flight Attendants may personal drop a trip pairing subject to operational requirements. Requests will only be accepted the day before report time of the trip pairing and will be granted on a first come, first served basis. 2. Flight attendants may drop a portion/portions of a trip when it transits their base the day of the trip, if staffing allows. If successful in dropping a portion of the pairing, the original value of the pairing shall is reduced by the scheduled flight time of the segments dropped. In addition to the provisions of Section 7.M. which provides for Personal Drops (PD), Section 7.AA. of our JCBA provides for Guaranteed Personal Time Off (PTO). Personal Time Off – Section 7.AA. 1. Guaranteed PTO time will be made available to Flight Attendants on a daily basis regardless of White Flag. Guaranteed PTO slots will be equal to one percent (1%) of a domicile's active Flight Attendant population on any day. Such PTO will be granted on a seniority basis, a day at a time, to Flight Attendants; however, to ensure equitable distribution, Flight Attendants may use the guaranteed PTO for eight (8) days a year. The daily percentage will be allocated in two (2) equal parts (any fraction will be allocated to the fifteen  day-in advance portion). The first part will be awarded fifteen (15) days in advance. Any unused PTO will be allocated to the corresponding five (5) day-in-advance portion. A one (1) day notice will be required to qualify for the remaining guaranteed PTO time. If the needs of the service permit, however, any unused slots may continue to be available until 0001 of the requested day. Such requests will have priority over personal drops. 2. PTO shall not be awarded to a Flight Attendant who is on duty and unavailable to utilize such PTO. 3. Flight time lost due to Personal Time Off may be made up during the month taken if authorized by Inflight Scheduling. 4. 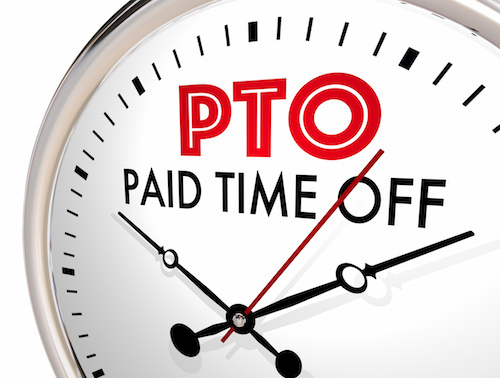 If a PTO day will cause a Reserve to be unable to be assigned on her/his remaining days of availability, the Reserve will be placed on PTO for the day requested and Could Not Fly (CNF) for the subsequent days on in the Reserve block if the next block of days off are set days. Login in to CCS ->Trading ->EBB. Directly under the Electronic Bulletin Board title, on the left hand side you will see a small arrow next to the word Market. Click here for the dropdown menu and select requests. Keep in mind, Flight Attendants must submit for either a Personal Drop or PTO, not both. For additional information on these negotiated schedule options, review the information available on our website, Unitedafa.org or contact your Local Council Office.